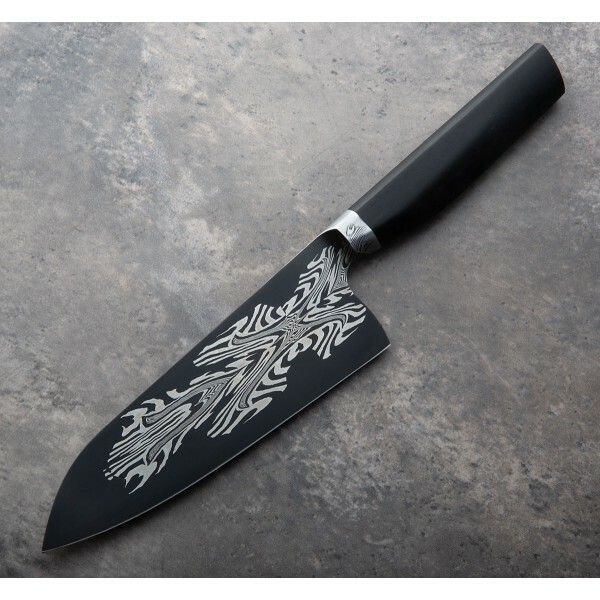 Forged by Nick Anger, this integral 160mm / 6.3” petty chef knife features jaw-dropping Jason Morrissey carbon damascus steel. 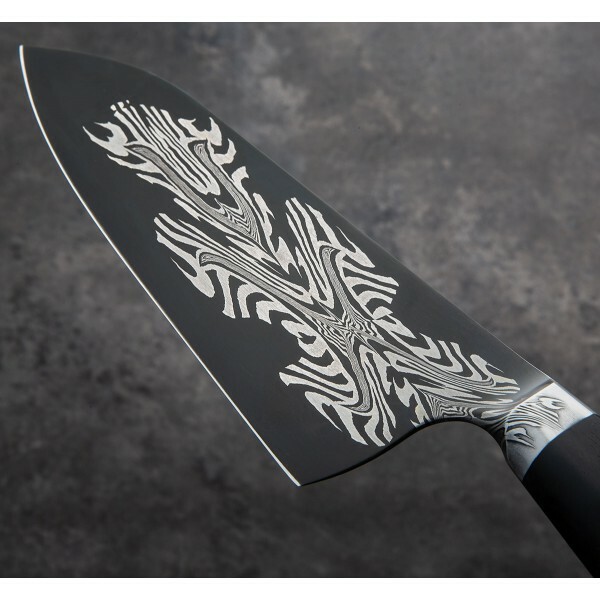 A flat edge towards the back of the 53mm tall blade flows into a nicely curved front section, tapering at the spine from 2.6mm to 1.35mm to offer a thin, light feel with front-to-back strength, yet with slight flexibility. 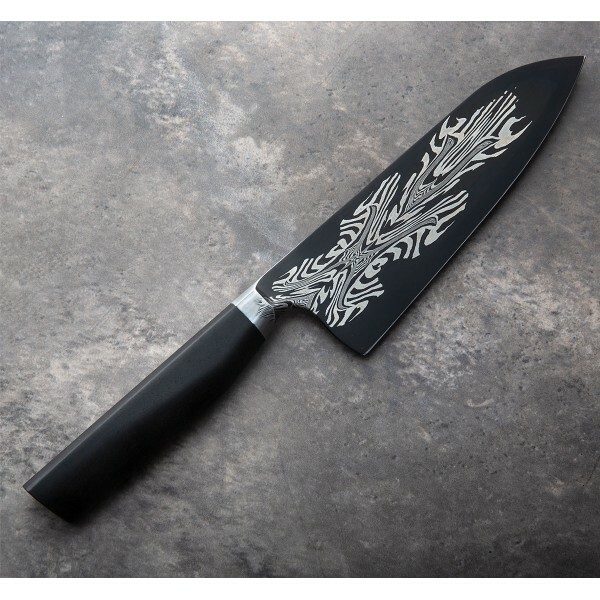 An stellar small chef knife perfect for any kitchen, with a beautifully carved, stabilized ebony handle. 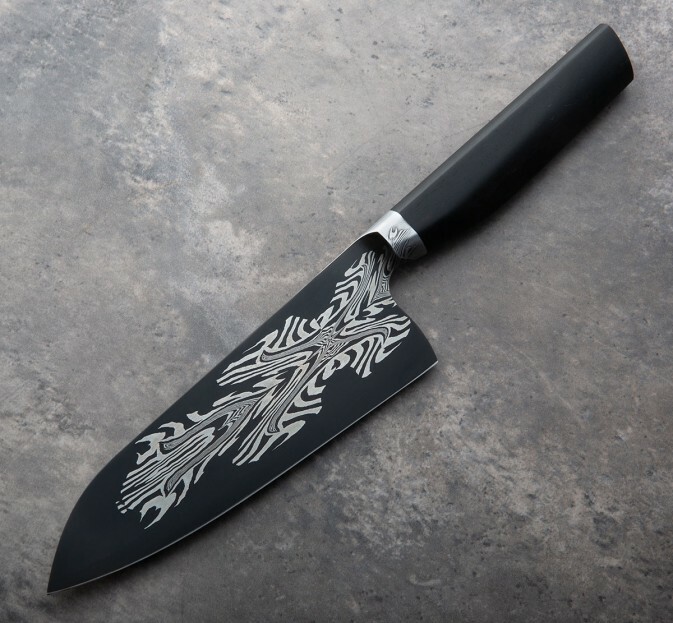 A talented blacksmith and bladesmith, Nick Anger creates one-of-a-kind chef knives at his one-man shop in Northern Vermont. Specializing in small-batch, experimental damascus and integral handle construction, this is a rare piece featuring steel made by artist-blacksmith Jason Morrissey especially for Nick. Blade: 160mm / 6.3". Overall length: 300mm / 11.8". Blade width at heel: 2.6mm. Blade width 1" from the tip: 1.35mm. Blade height at heel: 53mm. Weight: 5.5oz / 156g. 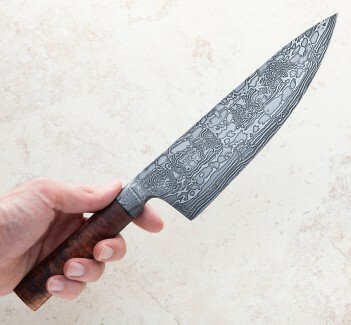 Blade: Unique Jason Morrissey carbon damascus. 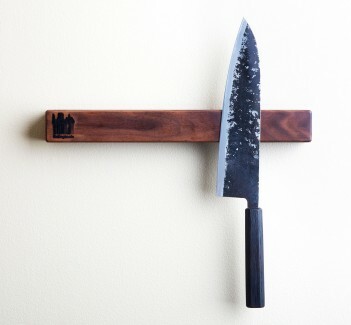 Handle: Stabilized ebony.